Perth, the capital of West Australia, is one of the most isolated yet beautiful and exciting cities in the world. Located on the Swan River, Perth’s Central Business District is teeming with life, with a strong cosmopolitan feel. Amongst the skyscrapers you’ll find restaurants, cafes, museums and art, and much more. Located in the heart of Perth, the Cultural Centre is an eclectic mix of different museums, galleries and more. Most museums and galleries have free entry, though you may have to pay for specific exhibits. Explore the history of Perth and surrounding areas at the Western Australian Museum, learn about the heritage and current issues of the aborigine population at the Aboriginal Interpretive Gallery, or catch a show at the Blue Room, Perth’s independent theatre. 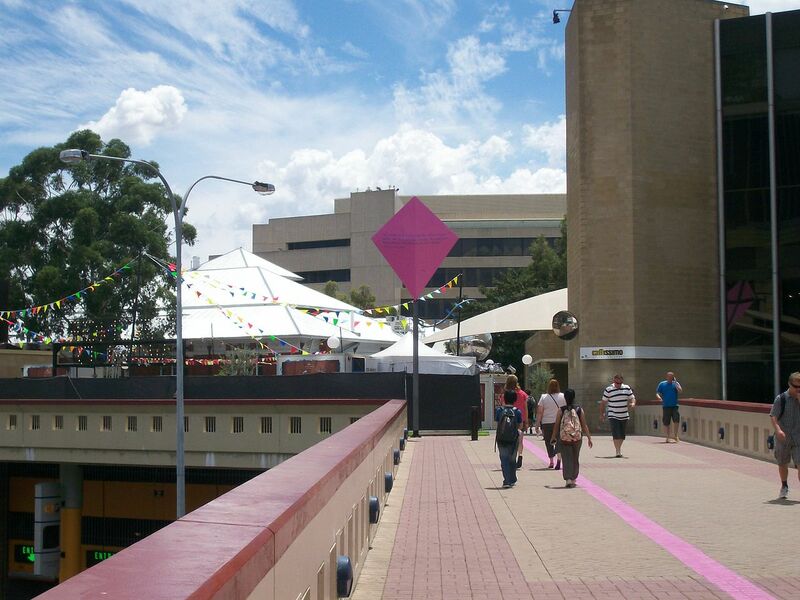 Along with markets, eateries, and different events every week, the Cultural Centre really is where all Perth’s rich culture comes together. 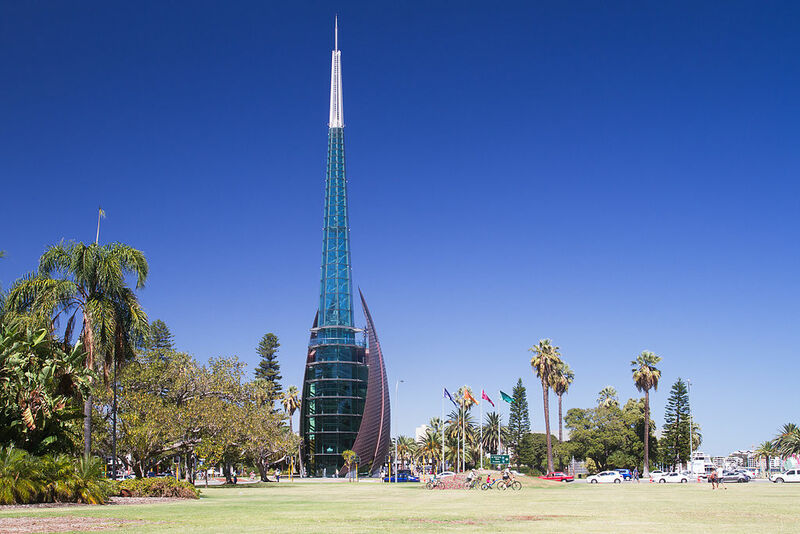 Kings Park is one of the largest inner city parks in the world, and boasts magnificent views of the city and the neighbouring Swan River. The 400-hectare park is also home to the Botanical Gardens, a collection of the diverse plants and flora native to Western Australia. Free guided walks run every day excluding Christmas Day. Children can adventure on the many different play areas in the park. For that coveted panorama, climb the 101 steps up to the top of the DNA tower for views of the city, the Swan River, and even Rottnest Island. If you’re visiting in September, make sure not to miss the Kings Park festival: a celebration of Spring, with floral displays, live music, workshops and more. An award-winning market, and the biggest food market in Perth, the Twilight Hawkers Market runs every Friday evening from October to April. Join the crowds of people to experience a mixture of great foods and an irresistible atmosphere. The market’s many stalls cater for all diets whether vegetarian, halal, or meat- fanatic! 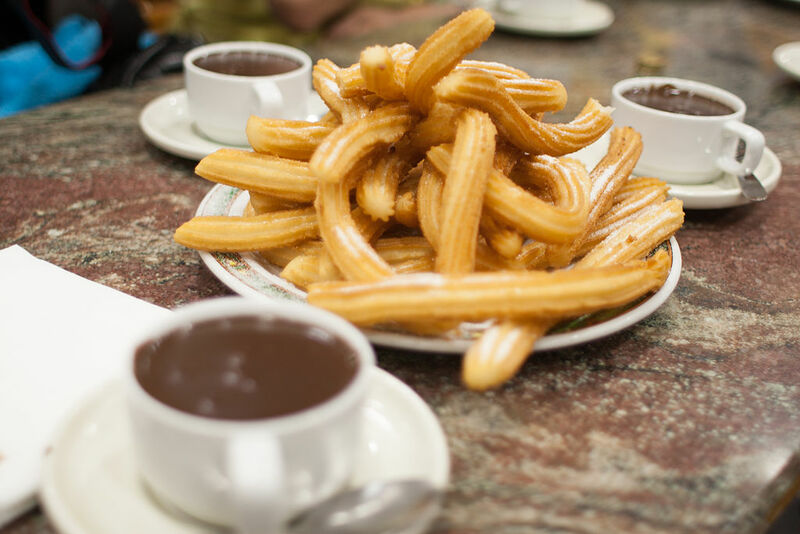 Try El Asador for a great taste of Argentinian BBQ, Braza Churros for some delicious Brazilian churros or Bangkok Jump Street for a taste of Bangkok’s finest street food. With new and different stalls every week, you’re sure to find something you’ll enjoy. Live music from local bands will give you something to dance along to as you enjoy the multicultural cuisines Hawkers has to offer you. Make sure to get there early if you can, as the market can get very busy, with the most popular stalls having long queues. For some architecture and history, take a trip to Perth’s Cathedral. 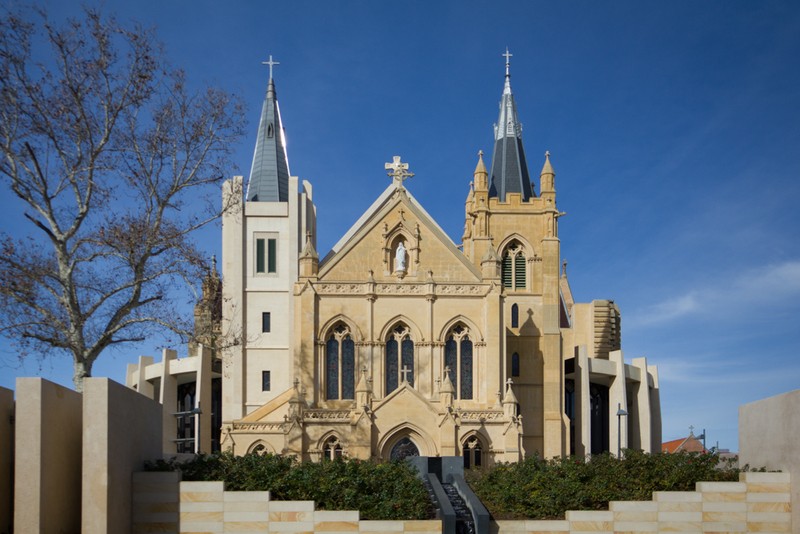 Home to the archbishop of the Roman Catholic Archdiocese of Perth, St Mary’s Cathedral is located in the center of Victoria Square. Built in 1863, the cathedral was first blessed and then opened in 1865. In 1926 plans began to expand the cathedral, however, a lack of funds meant the cathedral was expanded but not completed. Finally, in 2009 the cathedral was reopened fully completed. This tumultuous history is what gives St Mary’s its beautiful architecture. Admire the blend of different architectural styles, especially the unusual rounded side completed during the last renovation. Services run throughout the week and the weekend. Located on Newcastle Street, the Tuck Shop Cafe is a Pie-Shop and Delicatessen, boasting a varied and delicious menu. With a slick and clean exterior, the inside of the Tuck Shop is bright, cheerful and cozy. The staff are busy, but very accommodating, and the eatery retains its friendly atmosphere even when it’s busy. Stop off for a relaxed brunch of sautéed mushrooms, spinach and feta on sourdough toast. Or try one of the many home-made, melt-in-the-mouth pies, like the beef, bacon and cheddar pie. You can even take a cold pie away to heat up at home, if you’re not in the mood to sit. The menu changes daily so you’re never quite sure what you’ll get, but everything on the menu is available all day, so if you want pie for breakfast or brunch for dinner, this is the place for you! The pricing is surprisingly reasonable too, for the quality of food. Be sure to arrive early if you don’t want to queue, as it’s not uncommon to see a queue of people waiting outside for a seat. 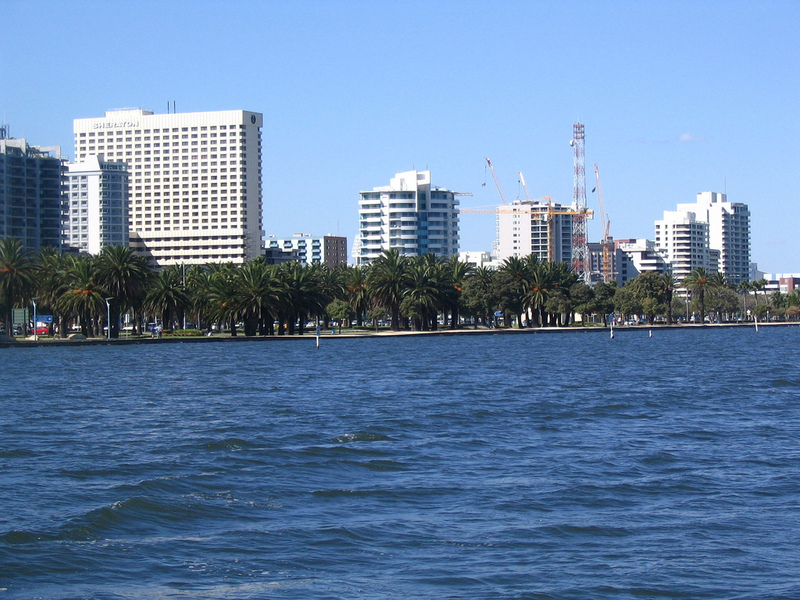 The Swan River, or its Noongar name Derbarl Yerrigan, is right on Perth’s doorstep. A beautiful contrast to the hustle and bustle of the CBD, the Swan River has plenty to offer visitors. There are good walking and cycling paths alongside the river, often taking you through parks on the riverfront. Canoeing is another relaxing activity the river offers, and is a very different way to explore the river. For thrill seekers, there’s JetPack Perth, flyboarding and jet skiing! Whether you’re window shopping or actually shopping will definitely depend on your budget when visiting King Street. Located in the heart of the Central Business District, King Street joins Murray Street and Hay Street. A collection of early 20th-century buildings gives King Street precinct a uniquely European feel. Timelessly chic, it offers a wealth of designer shops and boutiques. You’ll find such high-end shops as Gucci, Prada, Tiffany and Co., Louis Vuitton and Chanel, with smaller boutiques also cropping up to help you find those truly individual pieces. After a long day of shopping, have a break in one of the many restaurants or bars in the area. Try Etro Bistro for a trendy atmosphere, and a decadent cocktail or two out on their rooftop bar. Built in the early 20th century, His Majesty’s Theatre is thought to be the last working Edwardian theatre in Australia. Named after King Edward VII, ‘the Maj’ was described on opening night as ‘among the finest of its kind in the Commonwealth’. The beauty of the building is still as present as ever, and makes seeing any show there a real experience. 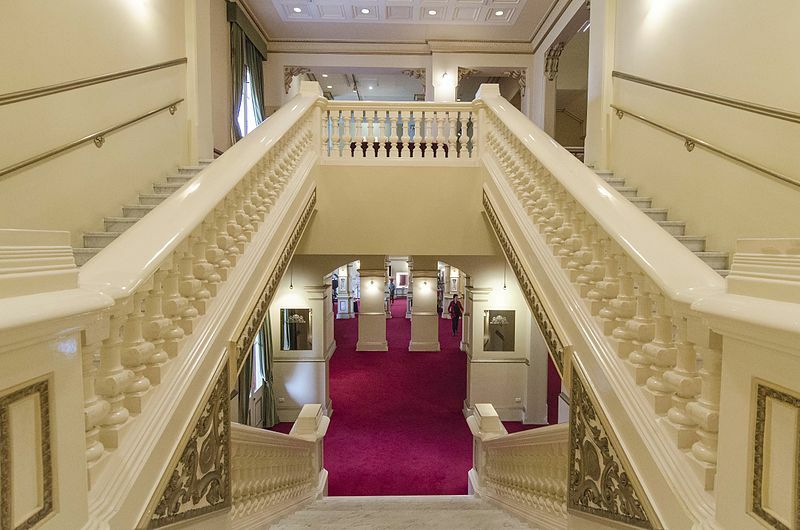 Home to both the West Australia Opera and the West Australian Ballet, His Majesty’s Theatre has played host to many notable performers including Anna Pavlova, Judy Garland, Sir Ian McKellen, and Geoffrey Rush. With a range of plays, comedies, ballets, and operas, there is something for everyone at His Majesty’s Theatre. Tickets will vary in price depending on the show and the seating, but for an entertaining evening the Maj will not disappoint. For something a bit different, try one of the Karla Yarning maps. Available to download, or pick up at the WA Visitor Centre, these maps will take you on an aborigine tour of Perth, and take about an hour and a half to complete each. The first map, ‘this city is Wadjuk country’ will take you on an exploration of what Perth was like before white settlers came in 1829. You’ll start at the Old Technical School on St George’s Terrace, and finish in the Cultural Precinct. The other map, ‘fighting for families, country, rights and recognition’ explores Wadjuk history after 1829. This walk will take you to important areas relating to Wadjuk resistance, protests, and more. You’ll start in the Cultural Precinct and finish at the Coolbaroo League and the Town Hall on the corner of Barrack Street. These walks are a relaxing way to explore a bit more of Perth, and an important way to learn about the history and difficulties of the aborigine population. Barrack Square is located right on the foreshore of the Swan River. Home to many shops, restaurants and bars, it’s always bustling with workers from the CBD. Barrack Square is also home to the Swan Bells, a set of 18 bells held inside of a 250ft high Bell Tower. The Swan Bells are one of the largest sets of change ringing bells in the world, and an impressive sight and sound to behold. Grab a cup of coffee and people-watch as you admire the view of the Swan River. If you fancy travelling a bit further outside the CBD, grab a ferry from Barack Street Jetties to Rottnest Island, for fantastic beaches, activities and nature.